The twentieth anniversary edition of this classic work—the bestselling golf instruction book of all time and hailed as “the golfer's equivalent of The Elements of Style” (The New York Times)—includes a new introduction by a prominent golfer, twenty new illustrations, and never-before-published materials from the Penick family archives. 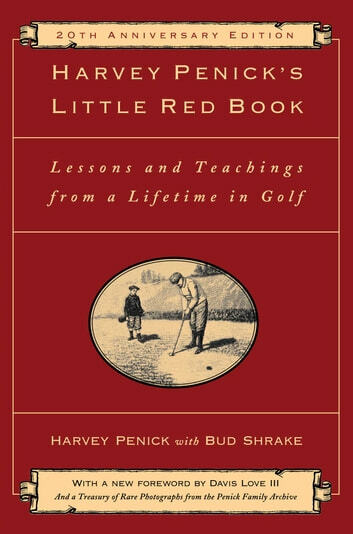 The most beloved golf book of all time, Harvey Penick’s Little Red Book has become required reading for all players and fans of the game, from beginners to seasoned pros. The legendary Harvey Penick, whom Sports Illustrated called the “Socrates of the golf world,” began his golfing career as a caddie in Austin, Texas, at the age of eight, and over the course of nearly a century worked with an amazing array of champions. 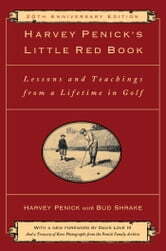 In this classic book, which is named for the red notebook he always kept, Penick’s simple, direct, practical wisdom pares away the hypertechnical jargon that’s grown up around the golf swing, and lets all golfers, whatever their level, play their best. Why Bad Golf Happens To Good People/It's Your Brain Not Your Game!